As news about the plight of the millions of refugees continues to shock Canadians, one question keeps coming back: what can we do to help in Canada? We hope this series will inform us about the effects of this crisis on refugees and the important role human rights education can play in creating a welcoming environment in Canada for people forced to flee their homes. We invite you to share the following articles on social media (#RefugeeCrisis) to inspire your family, friends, neighbours and colleagues and reflect on the actions we can all take to make to build inclusive, equitable and respectful communities. This is the first article of the series. Kathleen Weil Minister of Immigration, Diversity and Inclusion Government of Quebec, Canada @Kathleen_Weil #polqc #assnat / 1) What are Quebecers’ responsibilities to ensure that the hundreds of families that we will welcome will ”find peace, security and a future that lives up to their expectations in Québec”, as you have stated? What is our collective responsibility as a host society? We must remember the scale of the Syrian refugee crisis, the worst since the Second World War. Quebec reiterated its humanitarian commitment by tripling the total number of Syrians that we want to welcome: 3,650 in 2015 and 3,650 in 2016. The public appeal was heard and the number of collective sponsorships has increased considerably. I would also like to salute Quebecers who have come together to sponsor families as well as the collective sponsorship partner agencies of the Ministry. We can participate in this solidarity movement in many ways, in particular by providing financial support to the international cooperation organizations in Québec that help the civilian populations in the affected regions, or by creating a welcoming environment. Québec is recognized around the world as an inclusive and safe society. This is largely due to the Quebec population’s openness to the world and its compassion for humanitarian immigration. It is very important to show openness, especially towards refugees who have fled repression or armed conflict. We can all take concrete actions to make our communities welcoming and inclusive so that newcomers feel they can fully participate in Québec society. 2) The many refugees arriving in Québec, uprooted from their home countries, will not only have to find lodgings and a livelihood, but will also have to rebuild a part of their identity here. How can we support these refugees in their inclusion in Quebec society? You raise a very interesting question that we need to address also in terms of what refugees can bring to Québec society. Syrian refugees, for example, arrive in Québec with life experience, skills and a commitment to make their adopted society benefit from these. They bring an important contribution to Québec society of which we can be proud. Access to employment is evidence of integration for all immigrants, including refugees, of course. It gives them the assurance that they can support their families and provide a future for their children. But we can also support them in many ways: help them to learn French, introduce yourself to your new neighbours, invite them to community activities, in short, let them know there is a place for them in society. 3) What role can human rights education play to help to welcome the refugees or, for that matter, all new immigrants to Québec? Human rights education allows us to advance social justice and equality, here and around the world. Organizations working in this field, such as Equitas, help us to realize the responsibility, both individual and collective, that we have to defend human rights and to have them respected. It is this awareness that has nourished the wave of international solidarity with the refugees. Québec has developed a unique approach to integration and to living together: interculturalism. This is deeply rooted in the affirmation of the distinct and francophone character of Québec society, and the richness of its diversity. It is based on our commitment to democratic values, to combating racism and all forms of discrimination and to integration that is based on the shared responsibility of the host society and the immigrant. Human rights education strengthens the foundations of our living together, helping to make Québec a more welcoming and inclusive society. 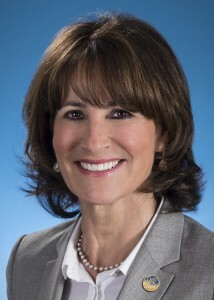 — Biographical Notes Kathleen Weil, Member of the National Assembly since 2008, was appointed Minister of Immigration, Diversity and Inclusiveness in 2014. She was also appointed Minister of Immigration and Cultural Communities in 2010 and Minister of Justice and Attorney General of Québec in 2008. She was admitted to the Québec Bar in 1983 after graduating in Civil and Common Law at McGill University where she also received a Bachelor of Arts in Political Science and History. After having practiced law, she held various positions both in the public and not-for-profit sectors. Just before entering politics, she was President CEO of the Foundation of Greater Montreal.